Team up and take on your opponents in fast and frantic 3 vs 3 arcade-multiplayer turf-war action. Spin, grind and splash your deck as you battle your opponents to cover the arena with your paint. If your team’s paint has covered more of the arena’s territory by the end of the match than your opponents, you’ve won! 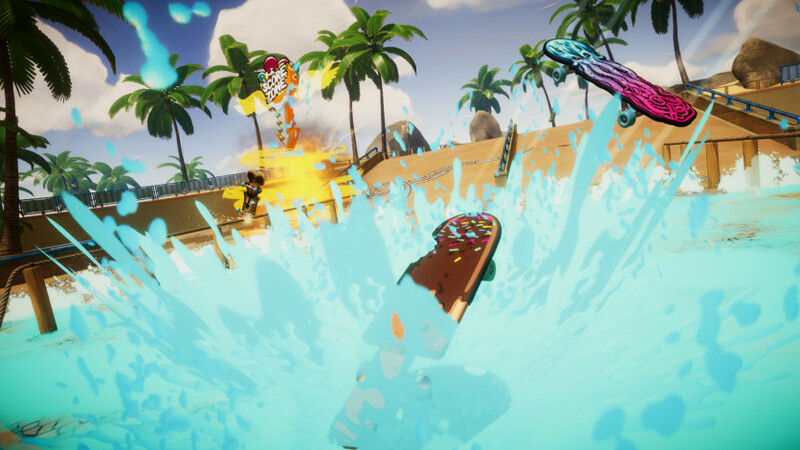 Decksplash gets you straight into the action but you will need to practise your moves and hone your technique to achieve the highest scoring combos. Beneath those cheeky deck designs there is deeper gameplay to be mastered! 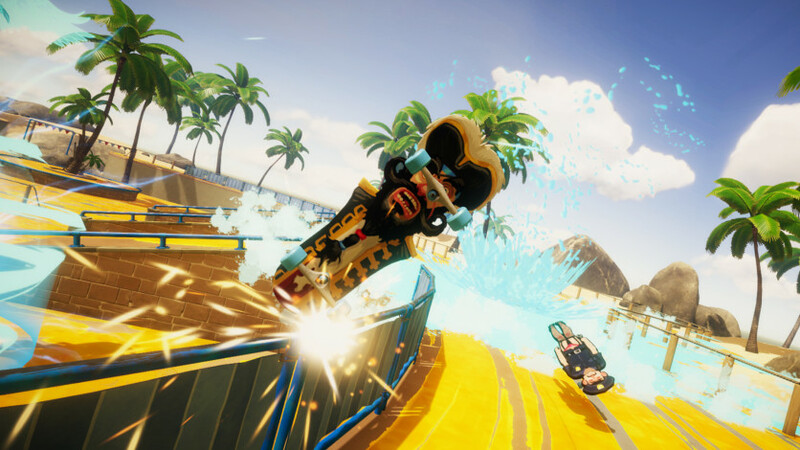 This is just the beginning for Decksplash, we have big plans and want to deliver the best game we possibly can with your help. Chain Combos: Linking tricks with grinds creates bigger combos and bigger combos mean higher scores... the higher the score, the more colossal your paint splash. Create Tricks: For the first time in a Bossa game we give you GENUINELY responsive controls! Yes, you heard it right, in this game we want you to grind your deck and not your teeth! 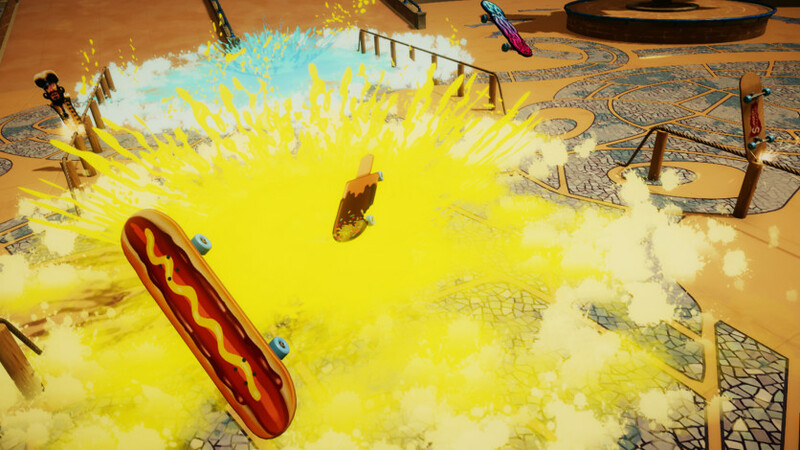 You have direct control of the board, allowing you to create your own tricks and combos to get the biggest score possible. Dominate the Arena: Get to grips with the layout to know where the best scoring areas are for maximum paint coverage. Shockwaves: Ride through your team’s paint to build up your Shockwave meter and unleash a powerful blast that will disrupt your opponents and cause them to instantly lose their combo! 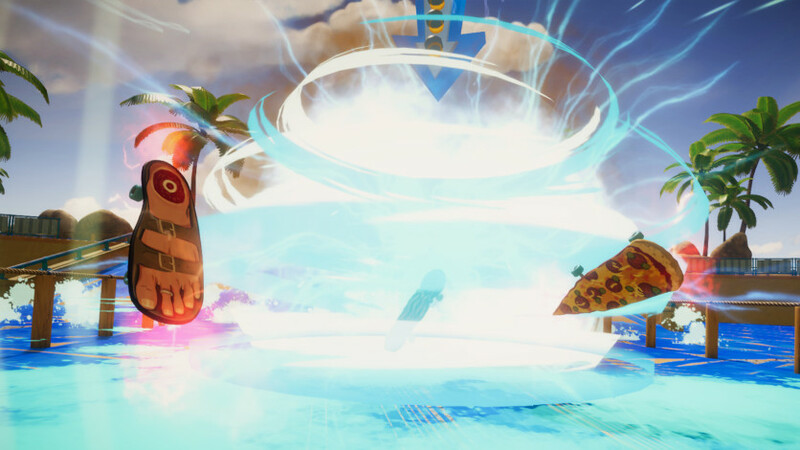 Score Zone: Drop a Score Zone with your Shockwave at strategic points in the arena. 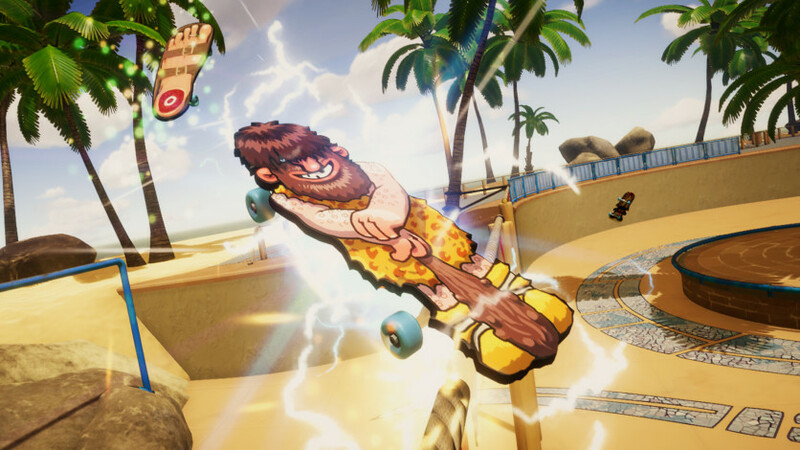 If your friends can land tricks in the Zone they’ll nail a score multiplier! Work with your teammates to place this in the right spots at the right time! Study the Opposition: Knowing how big a player's current combo is lets you make meaningful decisions about what you should be doing. The size of a player's combo is reflected by the size and vibrancy of their trail and on-screen indicators show you their position when they are not in your field of view.